Goodness, I've been a bad updater. I intended last week to do a post on the excitement of the first two weeks of term, but now we're at the end of 3rd week already. So, instead I offer up a list of my adventures since the end of September. 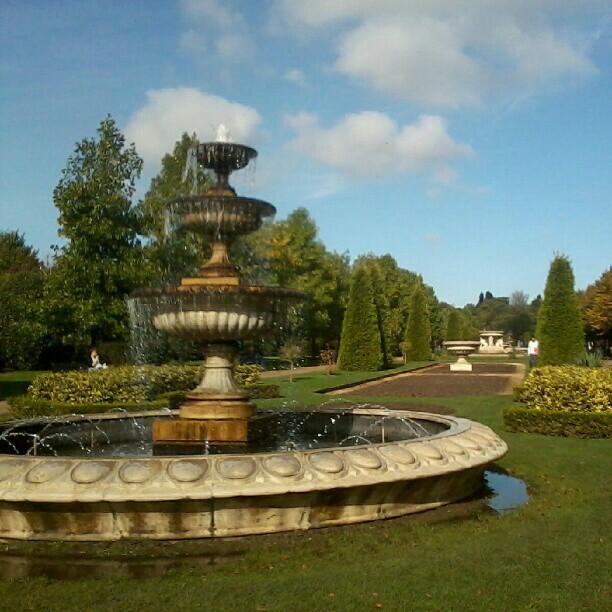 1) I attended the SCWBI Agents' Party in London, where I was very brave and pitched my novel to four literary agents. Pitching was terrifying at first but became easier when I reminded myself that agents are book nerds just like writers. We're all just looking for a great book to read. Now I need to finish my polish/proofread and make sure all my spellings are British (rather than Canadian or American: see my last post) and start sending it out. 2) Having previously seen Vertigo as part of the BFI's Hitchcock retrospective, Tim and I also went to see Rear Window, which was also even more amazing on a big screen with great sound. Also, I realized it's much easier to see what the characters in the other apartment buildings are up to on a big screen and in high resolution. (As opposed to the fuzzy VHS version I'm sure I originally watched the film in). 3) At the very beginning of First Week, Tim and I went back to London to see the Original Practices production of Twelfth Night at the Globe, starring the one and only Stephen Fry as Malvolio. It was amazing and very funny, especially since they milked the comedy of men playing women (and in Viola's case, a man playing a woman playing a man) for all it was worth. 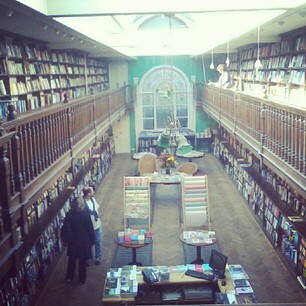 Before we went to the theatre, we popped into the famous Daunt Books in Marylebone and finally made it to Regent's Park. 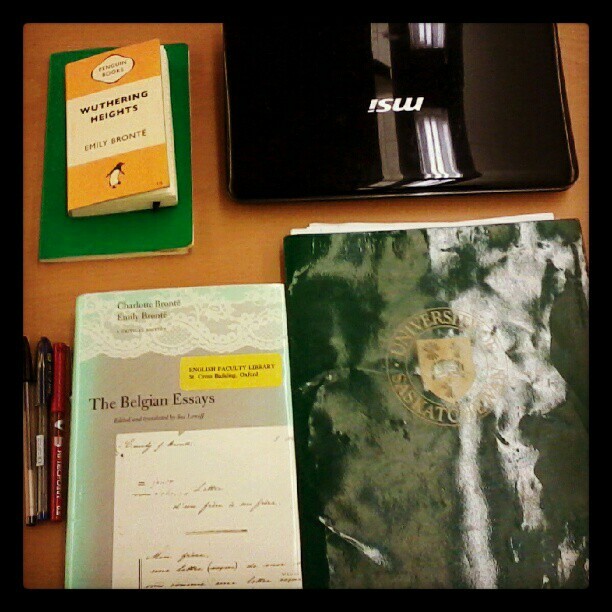 4) Also, in first week, I taught my first ever Oxford tutorial on Oscar Wilde (Paper 7 - the special author paper). Now three weeks in, I must say I'm really enjoying myself. It's lovely to get my teaching muscles working again. Tutorial-style teaching is definitely very different from the teaching I did during my Master's degree of the University of Saskatchewan. It's strange going from having, say 15-30 students down to just one. At its best, the teaching resembles a supervision meeting or a really productive conversation, with ideas and interpretations zinging back and forth. 5) Then we had EGO (English Graduates at Oxford) committee elections. I will be serving on the committee for the second year in a row, this time as Academic Affairs Officer. I'm really excited to be involved again and will aim to do my best. 6) I'm also on the organizing committee for the graduate conference again this year. We decided on the theme for the conference just a couple days ago: Object. We're hoping to here some really interesting papers on materiality, tangibility, Thing Theory, and also more political/theoretical/critical objections. A CFP will probably go out in December with an abstract deadline in March(ish). 7) Last week, I also had the opportunity to hear a bit of a children's publishing celebrity speak. The Oxford branch of the Society of Young Publishers hosted a public talk by David Fickling, head of the Random House imprint David Fickling Books, which publishes some of my very favourite authors in the UK: Linda Newbery, Kenneth Oppel, Margo Lanagan... David Fickling was a fabulously energetic and enthusiastic speaker, running off onto fascinating tangents like some of my very best university professors. He spoke really engagingly about what an editor must do (recognize talent, add energy, provide stability, communicate to the author). It was fascinating to hear about the editor-author relationship from the editor's point of view, especially because unpublished writers tend to focus more on getting published and the submissions process. Also, it was lovely to hear David speak so passionately about importance of publishing good books and great stories, rather than focusing on market issues. 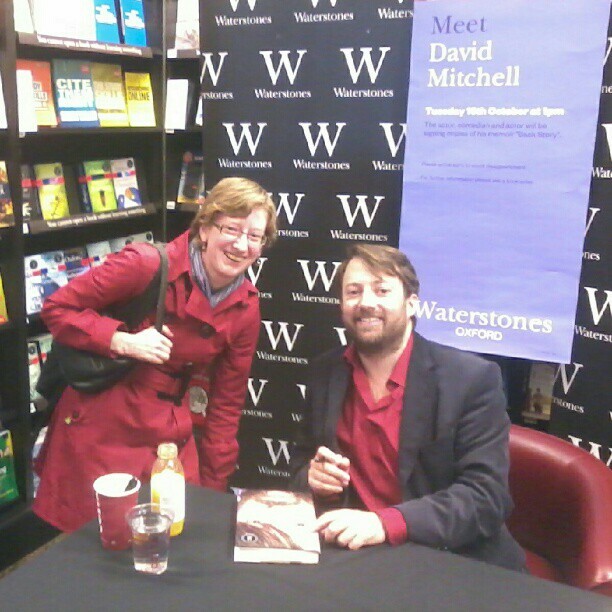 8) Last week I also got to meet another hero of mine, David Mitchell, who was in town at the Oxford Waterstones signing copies of his memoir Back Story. If you haven't seen David Mitchell and his comedy partner Robert Webb in Peep Show or their sketch show That Mitchell and Webb Look, do so. Fantastic British comedy. 9) My 9th adventure comes later today when the Interdisciplinary Nineteenth-Century Forum is hosting a tour of Oscar Wilde's rooms at Magdalen College, which I am very much looking forward to. This image isn't related to anything in this post, except that autumn has come to my favourite churchyard by the English Faculty. And to close, some general thoughts on beginning the second year of my DPhil. First of all, where did first year go? It went by so quickly. I'm a third done now! But, really, everything feels a bit more comfortable this year. I have friends inside and outside my program; I'm used to the city; I'm well into my research (though writing is still a struggle). It's also scary, however, because I recently realized that instead of applying for scholarships next fall, I'll be applying for lectureships, post-docs, teaching roles and really thinking about the transition into an academic career. WOW Erin - you're life has certainly been full on of late - all sounds really exciting! BUSY GOOD! I love David Mitchell too! Would have liked to have met him -- didn't know he was in Oxford. 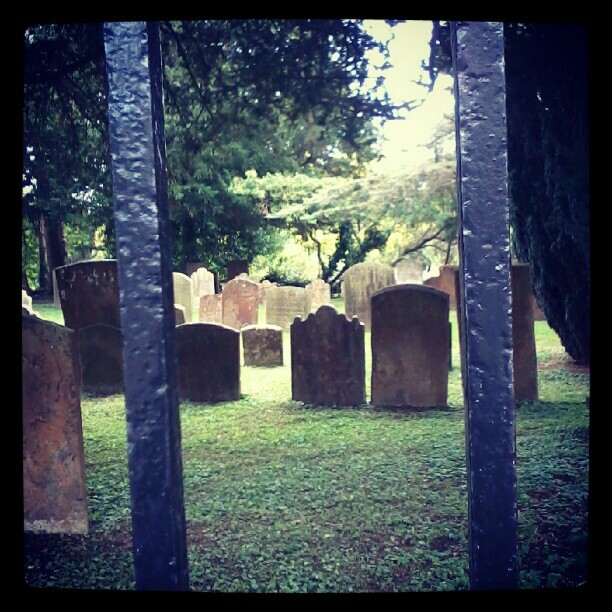 Did you know that Charles Williams (one of the Inklings and a great author) is buried in that church yard? Well worth reading his work, especially War in Heaven. Gabriel - I only found out about the David Mitchell signing becasue he mentioned it on his Twitter account. It was really busy too, with people lined up all along the front of the store. I did not know there were any Inklings in that churchyard. I also know shockingly little about Charles Williams but I'd like to learn more. Thanks for the recommendation!